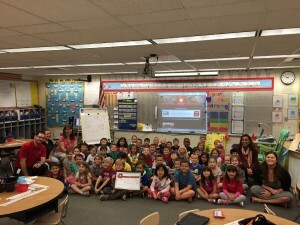 The participating schools submitted video grant requests via DavidsonCares.com and each received a check for $1,000 to meet various needs such as science equipment, 3D printer, projector equipment and an anti-bullying campaign. Remaining funds will be matched and donated through Davidson’s partnership with St. Johns County Education Foundation. Davidson Cares is focused on supporting youth-based and educational organizations through fundraising events and activities, in addition to support from sponsors. Davidson Cares title sponsors for the 2014-2015 school year include MOJO Old City BBQ, Bank of England, Charles Schwab and Heekin Law. Learn more by visiting www.DavidsonCares.com.